Hillsmere Shores is a quaint suburb of Annapolis in Anne Arundel County, MD. This community got its start in 1960 when houses started to pop up in the newly plotted neighborhoods. The community only has about 2,977 citizens, and residents of Hillsmere Shores appreciate the open spaces and rural aesthetics this community has to offer. Since Hillsmere Shores is mostly residential, people need to head north to shop or dine out. Considering that there are plenty of businesses, markets, restaurants, and shops just outside of town, residents must rely on a set of wheels to get around. If drivers are in need of a vehicle that’s within their budget, they can always seek out a used car dealer near Hillsmere Shores. Luckily, MINI of Annapolis is around the corner, ready to help you get started. When you’re ready to find the vehicle that’s right for you, having a used car dealership near Hillsmere Shores can be a huge benefit. Our dealership is close enough for you to drop by and start taking a look around. Although, you don’t have to trouble yourself with the trip if you simply want to check out the various makes and models that we’ve got in stock. You can actually head to our website and explore our used car inventory online. You’ll be able to get a sense of the models on our lot so you can figure out which one seems like a good fit. Once you’ve looked around and got a few models in mind, your next step is making the trip to our used car dealership from Hillsmere Shores for a closer look and some more insight. When you arrive, a member of our team will help you out by showing you the models that interest you. They’ll provide some important details on the vehicles so you can begin to narrow down your list. 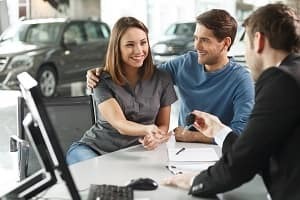 Once you’ve found a model that really interests you, we’ll be happy to put you right in the driver’s seat, so you can experience it through a test drive. By taking it out for a spin, it’ll be easy to decide if it’s the right choice for you. Did you know that you can keep your vehicle running beyond its life expectancy? All you have to do is follow through on the recommended service. Regular service and maintenance is crucial to keeping your vehicle performing at its best and getting the most use out of it. Our service center is here to help you keep your used car in great condition through routine services and necessary repairs. We’d be happy to keep you and your used car out on the road. Are you ready to start finding the used car that speaks to you? 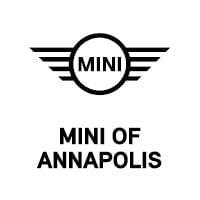 Drop by and see us at MINI of Annapolis to get started! We’re happy to help Hillsmere Shores drivers find a vehicle that they can depend on!